H.E.Collins, the result of crossing 2 unnamed seedlings. Bred by Mick Collins and named after his grandfather. 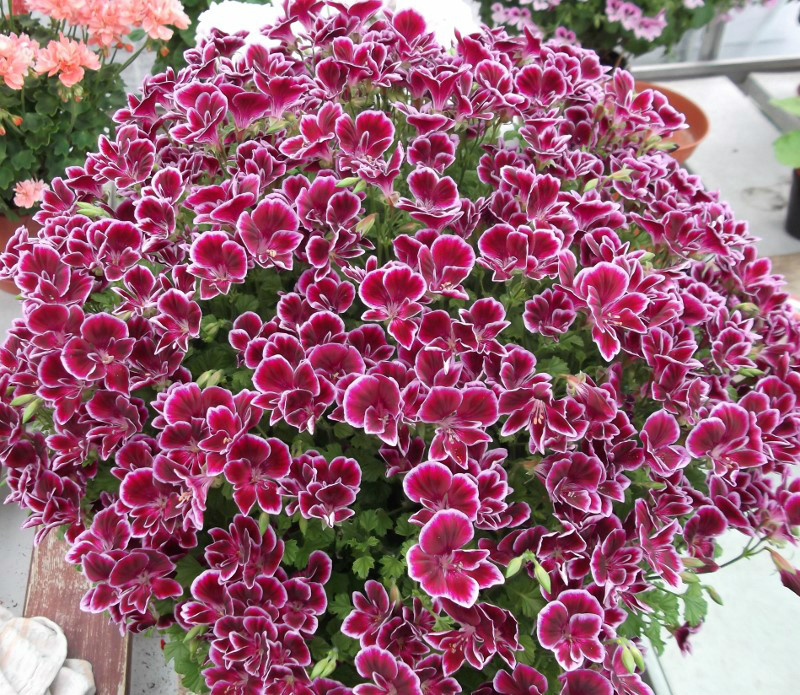 This makes a good second year plant in a 6" pot, as the growth is nice and strong and holds itself well. It roots readily and with careful stopping, can make a nice shaped plant. So far, it responds well to being cut back. Mister Lot, also bred by Mick Collins. It has The Mole in its parentage. 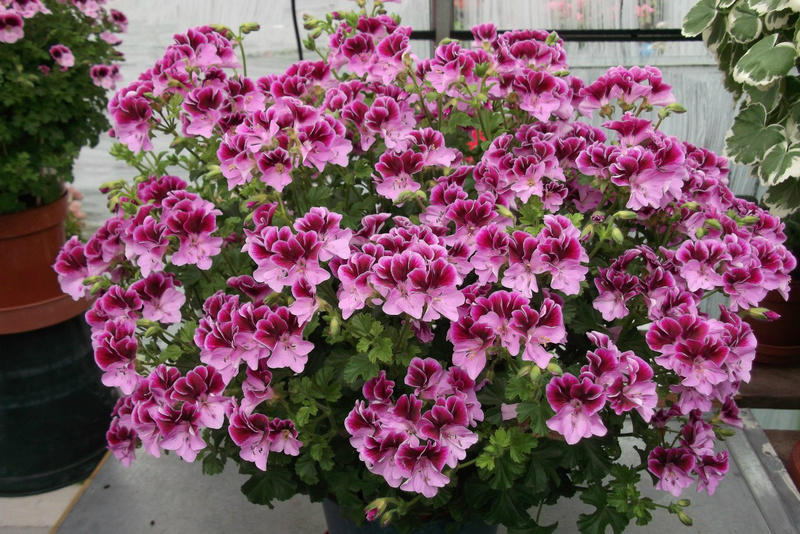 I like to grow this as a dwarf in a 4.5" pot, even as a young plant it will cover itself in bloom. I was amazed how long it stayed in flower, taking into account how hot it was at the time. Catford Belle, raised by Langley Smith in1935 has stood the test of time. 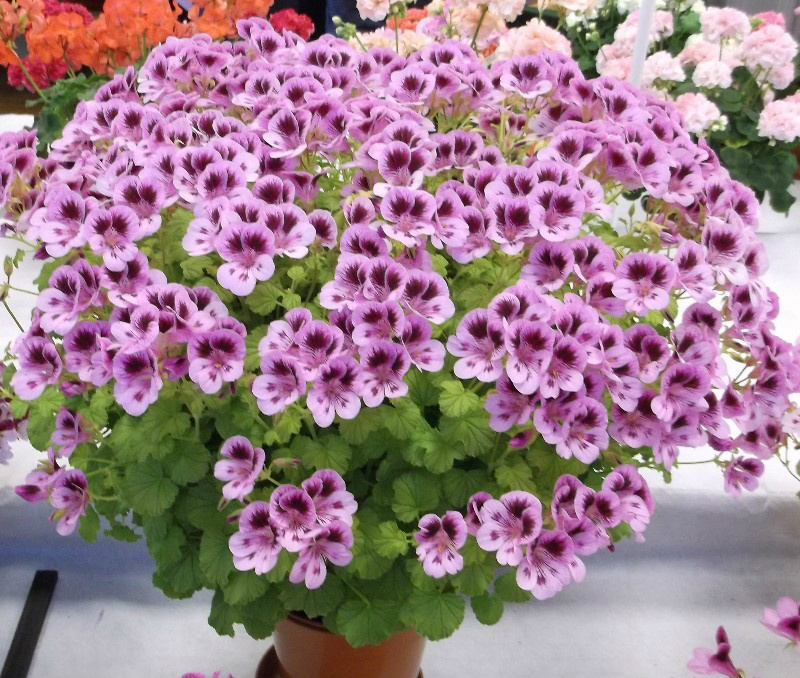 Not the easiest to shape into a good show plant, but has done well for me in the past in a 5" pot. The standard in the photo was achieved in two years from the time the cutting was taken to flowering. Berkswell Pixie, bred by Mal & Judi Harris. The one in the photo is in a 3.5" pot. It also grows well for me in a 4.5"and 5"pot and makes an excellent shaped show plant. Cuttings are so easy to root. Berkswell Calypso, also bred by Mal & Judi Harris. The plant in photo is in a 4.5" pot. I have also grown it well in 5" pots. The flower certainly has the 'WOW' factor and stands out well on the show bench. Berkswell Fiesta,bred by Mal & Judi Harris. 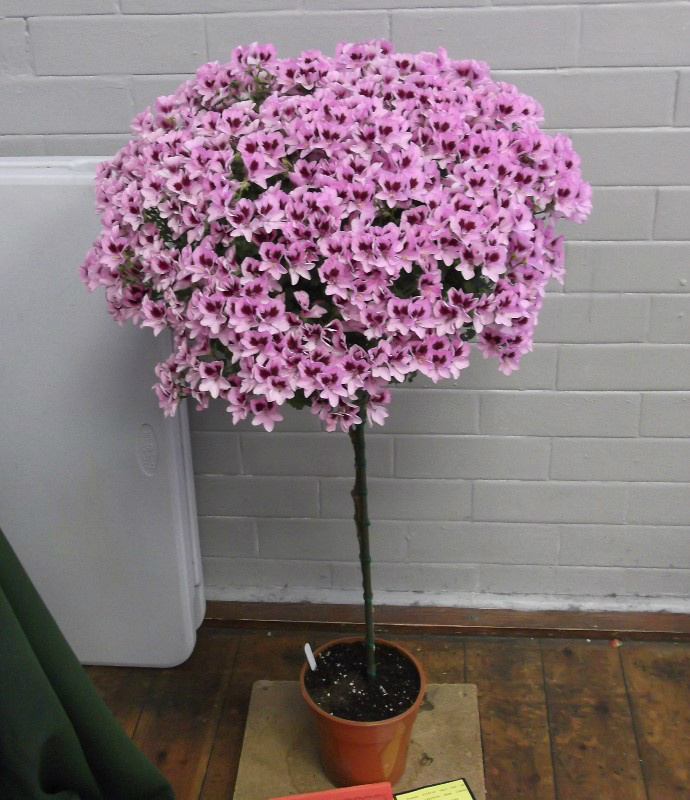 The plant in the photo is in a 5" pot and won the 6" pot class and also got a "Best in Show" in 2014. I personally, think that a lot of Angels hold their shape better in a 5" rather than a 6" pots, where they tend to open up in the middle. Just to prove my method of cutting angels back really works, this is the same plant as above and was cut back on the 2nd week of July 2014. It came back into growth well and this photo was taken on the 21st October 2014 after it had been stopped. It then went on to get 'Best in Show' as a 6" pot plant in 2015. Berkswell Nocturne, again bred by Mal & Judi Harris. What a great flower colour that tends to stand out on the show bench. 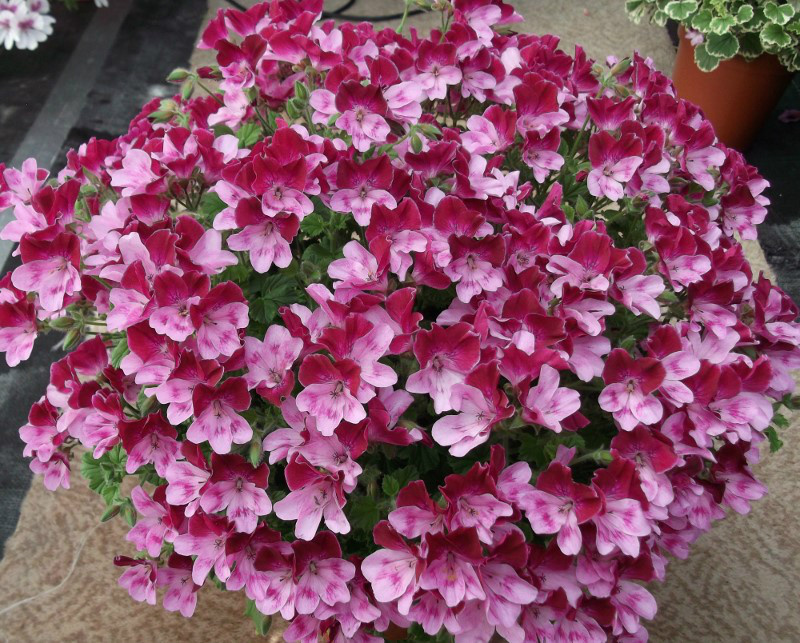 It can be a a bit slow responding to stopping at first then romps away and makes a great 6" pot. As the growth is strong it holds itself well. So far it comes back into growth well after being cut back. Must say it is not the easiest of Angels to root and seems to favour doing so in the autumn for me. Rockwell Sophie, bred by Mike Darch. I found this slow growing to start with and reluctant to put out new growth after stopping. 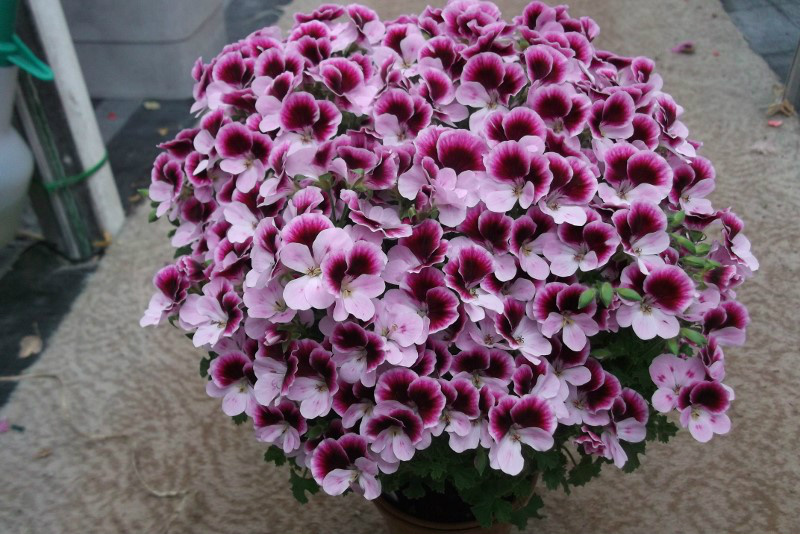 It is best to pot this up an inch at a time but wait until plant has made plenty of top growth before doing so. 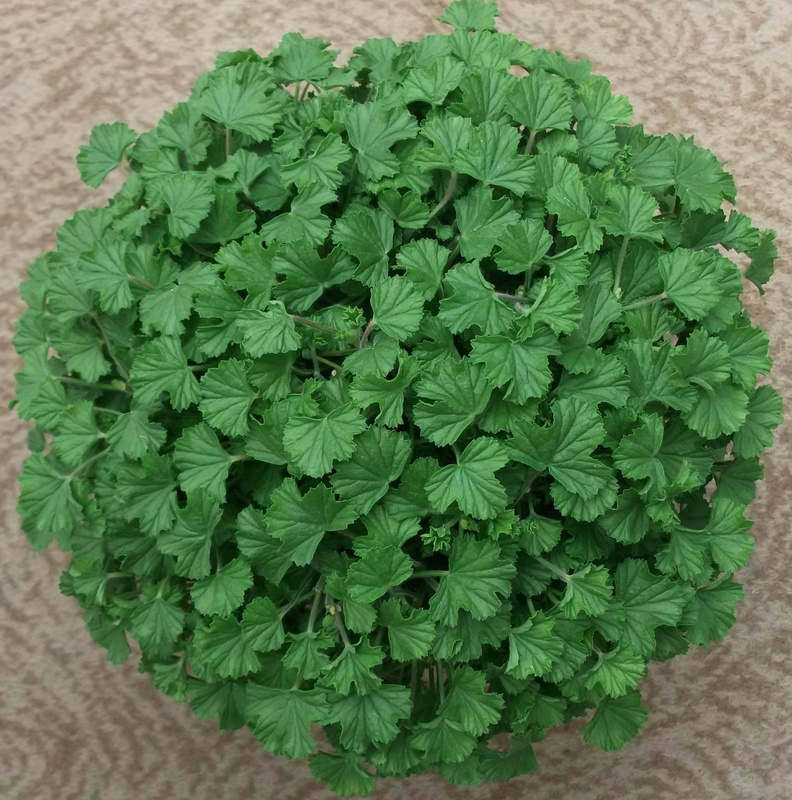 The plant in the photo is in a 5" pot. The flowers compliment the foliage which appears to hold its colour well. 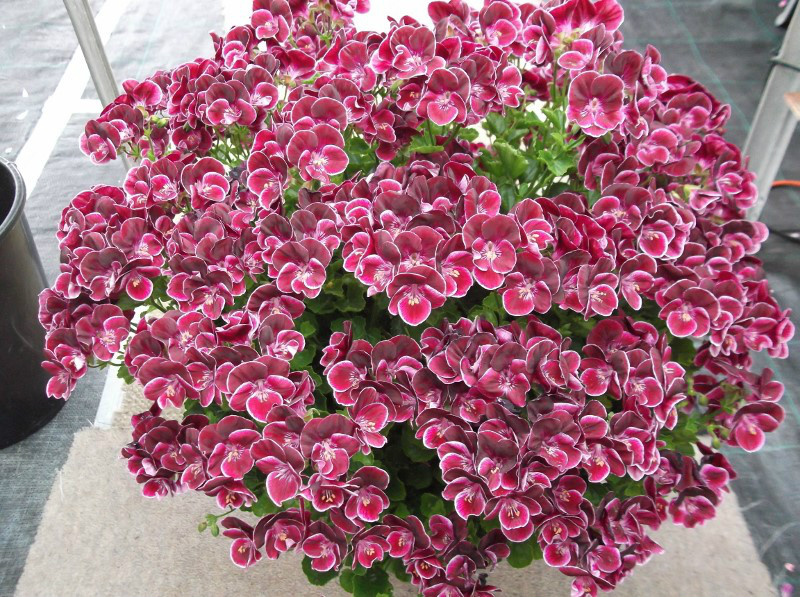 I was impressed just how good it looked on the showbench upon winning the Golden Angel class at the Yorkshire Pelargonium Society show 2014. I have worked 2 plants up into 6" pots for 2015 and will be interested to see how they perform for me on the showbench.